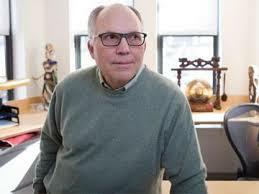 Check out this video of Bob Truog presenting “Futility Disputes – An Interminable and Intractable Failure of Medical Decision Making” at the Children’s Mercy Kansas City 2016 Pediatric Bioethics Symposium. This presentation frames and places the medical futility debate in a wider context than is usually discussed. This entry was posted in Health Care and tagged medical futility blog, syndicated. Posted by Thaddeus Mason Pope, JD, PhD. Bookmark the permalink.